Our #1-selling multi-herbal formula provides joint support, a healthy inflammation response, and herbal pain relief. Estrotone supports pre- and post-menopausal hormonal balance with whole-food herbs, and no added hormones or estrogen. Provides holistic support for your prostate health, supporting normal urine flow. Our #1-selling multi-herbal formula provides joint support, a healthy inflammation response, and herbal pain relief. Our #1-selling multi-herbal formula provides joint support, a healthy inflammation response, and herbal pain relief. Organic herbs and cultured whole-food complexed vitamins and minerals promote optimal health and condition-specific benefits, not just address nutrient deficiencies. 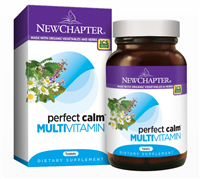 Each tablet delivers safe and sound potencies of 23 vitamins and minerals, including Vitamin A, Vitamin C, and Vitamin E. Whether you're a woman over 40, over 50, or beyond, this whole-food complexed multi-vitamin is formulated specifically for your needs. For holistic women's health support, a blend of organic Broccoli, organic Kale, and other organic cruciferous sprouts supports breast health and a healthy hormone balance. Six whole-food complexed B Vitamins-and whole foods like organic Oregano and Fenugreek-support heart health, eye health, and digestive health, and also help address stress. Supports your alertness and focus with Lemon Balm, promoting a healthy mood, calm, and well-being. Supports your immune system and aids in alertness, focus, attention span, and short-term memory. Supports your mental health and well-being with Rhodiola rosea – supporting your stamina and endurance during periods of increased stress and sleep disruption.